Mariana, an agency management director for a leading pharmaceutical company, needed to uncover key issues from their latest annual agency evaluation. Mariana wanted to address the business question of whether there were any performance issues that could impact brand performance. To address this question, a dashboard was created showing the distribution of ratings for all agencies on the latest evaluation across the criteria; strategy, creative, account management and financial. 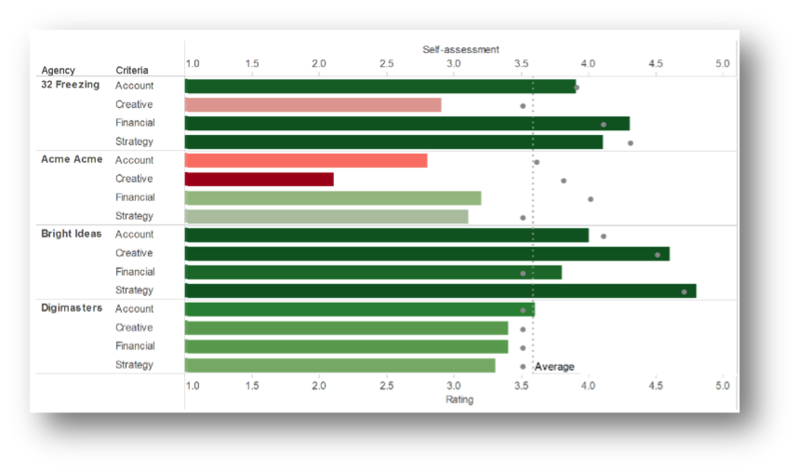 In addition, the agency self-assessment score was overlaid, to highlight any gaps in perceptions. 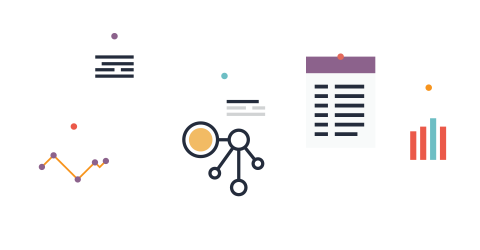 Using the dashboard, Mariana quickly identified underperforming agencies and immediately put an action plan in place. She also identified the agencies that had “blind-spots”, where their self-assessment scores showed that they may not be aware of their need to improve. This insight allowed Mariana to implement urgent action plan for one of the lead agencies, which lead to significant performance improvements and in turn stronger brand results.